on January 20, and February 3, 1860. AT the end of the year 1808 Mains discovered that light which was reflected from opaque or transparent bodies possessed new and surprising properties, which distinguished it from the light that proceeded directly from illuminating bodies. Malus called the change which the light suffered by its reflection, polarization. Later the reflection plane itself, i.e., the plane passing through the incident ray and the normal to the reflecting surface, was designated the plane of polarization of the rays. Malus did not, however, limit here his discoveries with regard to polarized light. It had been known for a considerable time that a direct ray of light in passing through acalcite rhombohedron was divided into two rays of equal intensity. A flame when observed through such a rhombohedron always appeared double and both images were of equal clearness. Huygens and Newton had earlier found that light which had passed through Iceland spar differed from direct light. When one or the other of the two images above mentioned is examined through a new rhombohedron, doubling of the image does not always take place ; and when doubling of the image does occur the two new images no longer possess equal intensity. Light which has passed through a doubly refracting crystal is thus different from natural or direct light. It was proved by Malus that the change which occurs in light by its double refraction is identical with that which is produced by its reflection from the surface of transparent or opaque bodies ; in other words, that both the ordinary and extraordinary rays which emerge from a doubly refracting crystal are polarized. This fruitful discovery was made by Malus, and from the first was presented so clearly, and advanced with such moderation and precision in experiment and language, that when the paper is read it appears as though it had been written at the present time. Yet he was not permitted to continue his work ; in the year 1812, he died at the early age of thirty-seven years. 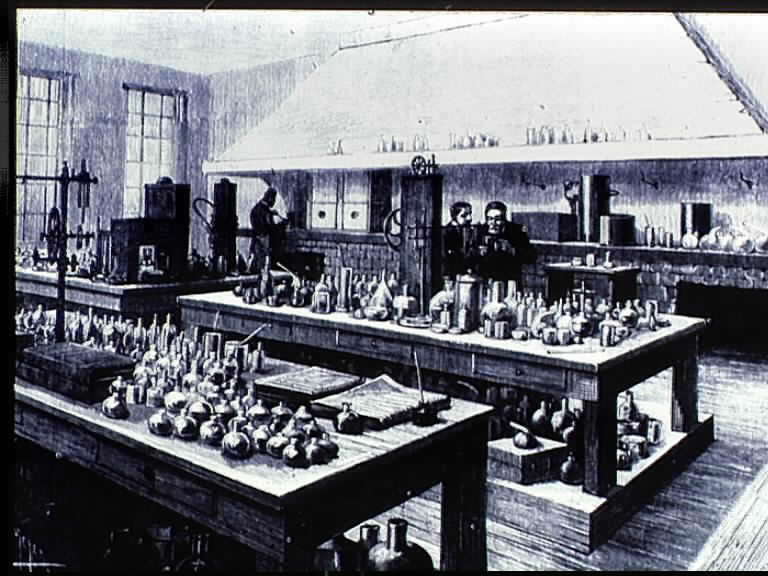 Fortunately for the science two celebrated physicists, Biot and Arago, both at that time young and in their prime, took up this heritage; and by means of brilliant discoveries they soon made great advance in this new department of science which had been established by Mains. wholly by Biot since 1813 ; while this work is entirely separated from that of Arago, there is danger of its being confounded with it. Biot polarized, one after the other, the simple rays of the spectrum and found that the original plane of polarization was rotated through an angle which was proportional to the thickness of the plate; that this angle changed with each of the simple colors, and increased, according to a definite law, with the refrangibility of the raj. Biot made the farther noteworthy observation, that, with plates taken from different quartz prisms, some turned the plane of polarization toward the right, while others turned it toward the left; but otherwise according to exactly the same laws. But Biot’s greatest discovery in this field is, without doubt his observation that certain natural organic substances rotate the plane of polarization; as, oil of turpentine, solutions of sugar, camphor and tartaric acid. The first communication of these facts is found in the proceedings of the ” Societe philomatique ” for December, 1815. In order properly to understand this lecture we must call attention to the power of rotation which exists in tartaric acid and the lack of this property in paratartaric or racemic acid, one of the isomers of tartaric acid. There are thus organic substances, fluid or soluble in water, which possess the power of rotating the plane of polarization and in this respect resemble quartz. It is, however, important to note that this analogy with quartz is only apparent. In both cases we have to do with the rotation of the plane of polarization, but the phenomena are, nevertheless, entirely different. In order that quartz shall be active it must be crystallized. In the dissolved form or in the solid but nncrystallized condition, it is without action. It must not only be crystallized, but the plates must be cut perpendicular to its axis ; so soon as the plates are turned in the direction of the ray, the rotation becomes weaker and at last entirely disappears. Sugar is active (and what I say of sugar applies also to the other organic products) but the sugar must be dissolved, or solid arid amorphous; as, sugar-candy. In the crystalline condition it is impossible to observe any action. The tube with the sugar solution may be inclined but so long as the layer remains of the same thickness there is no change in the amount of the rotation. Even though the solution be actively stirred by clockwork, the phenomena remain the same. Hence, from the beginning, Biot drew the conclusion with perfect certainty, that the action of organic bodies was a characteristic of the molecules, and was due to the individual constitution of these smallest particles. But with quartz, the phenomena are due to the manner of arrangement of the crystalline particles. These are, if I may be allowed to use the expression, the physical preliminaries of the investigations concerning which I wish to speak. We will now proceed with the mineralogical preliminaries. HEMIHEDRISM is a crystallographic property which in its outward characteristics is readily recognized. If we take, for example, a mineral species which crystallizes regularly, it may, as is well known, assume different forms which are determined by the law of symmetry; a law which is so universal that it may almost be assumed as a physical axiom. By means of this law from any one form all related forms may be derived by changing or, as Rome de Lisle expressed it, by truncating all identical parts at the same time and in the same manner. Those edges are called identical which are formed by the meeting of identical faces at equal interfacial angles, and identical solid or crystal angles are those which are formed by the meeting of an equal number of identical edges. In the cube, for example, there is but one kind of crystal angle and but one kind of edge. If one of the crystal angles is truncated by a plane equally inclined to the three faces of the cube, the other seven crystal angles will be modified in the same way, as is seen in crystals of alum and blende, and in general with all crystalline bodies of the regular system. Let us now consider a plane rhombic prism, the eight edges of the end planes are identical. If one of these is truncated, then the other seven will be truncated. The four vertical edges are of another kind and will in general not be modified at the same time with the other eight edges, or, if they are modified, the change may be of a different kind. These examples are enough to illustrate the laws of symmetry and its applications. Now it is easy to give a clear idea of hemihedrism. Examples have long been known, even Hauy knew several celebrated cases of this kind, in which only half of the identical parts are changed in the same way at the same time. This is called hemihedrism. The cube which was before changed in all eight of its crystal angles is now changed in but four. A known example of this kind is Boracite. These changes are such that if one imagines the truncating planes to be extended until they intersect one another a regular tetrahedron is produced. Had the change been upon the other four corners of the cube, another regular tetrahedron would have been produced identical in form with the first, and differing from it only in its position on the cube. Similarly we find it with our rhombic prism. With some species only half of the edges are truncated and here, too, if the truncating planes which are at opposite edges of each end plane and at dissimilar edges of the two end planes, are sufficiently extended, they produce a tetrahedron. Here, as with the cube, two tetrahedrons are possible, which differ in their position with regard to the prism, according as one assumes the extension of one or the other group of truncating planes. But here the two tetrahedrons are not absolutely identical. They are asymmetric tetrahedrons which cannot be brought into identical positions, which cannot be superposed. These illustrations will be sufficient in order to understand hemihedrism and the term hemihedral forms or hemihedral planes. Quartz is one of the few mineral species in which hemihedrism was early observed by Hauy. The common form of this mineral is well known, it is a large hexagonal prism with hexagonal pyramids. It is clear that the crystal angles formed by the prism and pyramids are identical with one another and, that when one is truncated, the others should also be truncated. 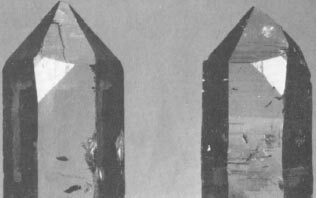 This is, in fact, the case and the planes are in Mineralogy called rhombohedral faces. Hauy first observed that in certain crystals there appeared a plane very different irom these, which he designated x; it had an inclined position, but still, did not as indicated by the law of symmetry, occur twice. There is another characteristic of this crystal which has not escaped crystallographers ; namely, that this face is sometimes inclined in one direction and sometimes in the other. Hauy, who loved to give to every variety of a species a name, has called the quartz crystals which have the face x, plagihedral ; and, indeed, called those crystals which had the face x inclined toward the right dextro-plagihedral ; while laevo-plagihedral designated those crystals in which this face was inclined in the opposite direction. The occurrence of this face appears almost accidental ; now it is present and now it is not. In the same crystal some corners may have the face x, while other corners where it would he expected do not have it. Frequently dextro- and laevo-plagihedral forms are found on the same crystal. In spite of this fact crystallographers are agreed that quartz is hemihedral, but that in such cases the opposite forms of hemihedrism occur at the same time. Here I must introduce a very fruitful idea which was first communicated to the Royal Society of London in the year 1820, by Sir John Herschell. As I have already mentioned, Biot had made the noteworthy observation that some quartz crystals turn the plane of polarized light toward the right, while others turn it toward the left. Herschell made a direct connection between the observation of Biot and Hauy’s crystallographic results ; and the thought has been fully confirmed by experiment, in that those crystals which had the face x in the same position, as for example the dextroplagihedral forms, would all turn the plane of polarization of light in the same direction. I have now given you the chief facts which lead up to the investigations that I wish to communicate to you. WHEN” I began to apply myself to my own work I undertook a thorough study of crystals, assuming that it would bet useful to me in my own investigations. It appeared to me that the simplest method of accomplishing this was to start my studies by a thorough study of crystal forms, to repeat all measurements and to compare my results with the original ones. 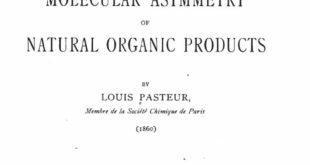 In the year 1841 de La Provostaye, whose thoroughness is well known, published a brilliant work upon the crystal form of tartaric acid, racemic acid, and their salts. I repeated this work. I allowed tartaric acid and its salts to crystallize and then determined their crystal form. But during the work I observed that the learned physicist had overlooked one very important fact. In all the tartaric acid salts which I studied I noted undoubted evidences of hemihedral faces. This characteristic of the tartrates was not a very prominent one. It can therefore readily be understood that it had never before been observed. If with any given crystal it was doubtful, it could always be rendered apparent by recrystallizing it under slightly different conditions. In many cases, indeed, the crystal had all the faces indicated by the law of symmetry, but hemihedrism was recognized by the unequal development of one half of the faces. This is the case for example with the ordinary tartar emetic. The difficulty of recognizing hemihedrism is much increased by the frequent irregularities of crystals which have not been formed entirely free. Such cases result in distortion, interrup- tion of crystallization in one direction or another, accidental arrest of faces, etc. The determination of hemihedrism, especially with crystals which have been formed in the laboratory, requires usually most attentive study. In addition there is the case of hemihedrism which manifests itself through the inner structure of the body and is not necessarily outwardly visible, all the forms of regular crystals are met with in this group. However it may be, I repeat, I found all tartrates to be hemihedral. This observation without what follows would have remained fruitless. Let a, b, c be the axes of a crystal of a tartaric acid salt; ; α, β, γ the angles between the crystal axes. These angles are usually right angles or deviate but little from right angles. Moreover the ratio between two of the axes, for example between a and b, is nearly the same for all tartrates; c only varies to any extent. Apparently it is a weak kind of isomorphism found in all tartrates. It might be said that the tartaric acid group predominates and forces a common character upon the different forms in spite of the difference in the other element in the compound. It follows, therefore, that the salts of tartaric acid have a common form, and that it is possible to give them similar orientation by placing the axes a and b in like positions. If the crystals are compared after being thus oriented it is found that the arrangement of the hemihedral faces is always the same. These facts, which are the starting point of all my later experiments, may be summed up in the words: The tartrates are hemihedral, and always in the same sense. Guided, on the one hand by the observations of Biot, that tartaric acid and all of its compounds possessed molecular rotation, and on the other by the relationship suggested by Herschell, and thirdly, by the learned views of Delafosse, who conceived that hemihedrisrn was a result of crystallographic laws and not a chance phenomenon, I concluded that there was a relation between the hemihedrism of the tartrates and their optical activity. It is important here to follow closely the line of thought. Hauy and Weiss recognized the occurrence of hemihedral faces upon quartz, and that these faces in certain individuals lay to the right and in others to the left. Biot had found that quartz crystals, as regards their optical activity, could be divided into two groups; one turned the plane of polarization toward the right, the other followed the same law, except that it turned the plane of polarization toward the left. Then comes Herschell, with the thought that unites these two isolated facts, it is: Plagihedral forms of one kind all rotate the plane of polarization in the same direction and of the other kind rotate it in the opposite direction. I, for my part, found that all tartrates are plagihedral, if I may so express it, and that they are all of the same kind. I dared to assume, therefore, that here, as with quartz, there was a connection between the hemihedrism and circular polarization. In spite of this the striking difference between the circular polarization of quartz and tartaric acid, to which I have already called attention, could not be ignored. It was necessary for us, owing to new facts and their relation to one another which I am about to point out, to form an hypothesis (for it is not more as yet) concerning the connection between hemihedrism and circular polarization in the tartrates. 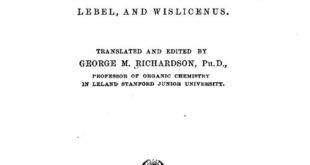 As I very much wished to find some experimental support for these speculations, my first thought was to examine the numerous crystallizable organic substances which possessed optical activity, for hemihedral crystal forms, which, in spite of Herschell’s suggestions, had not yet been done. These studies had the wished for result. I investigated the crystal form of racemic acid, which had been shown by Biot to be entirely inactive toward polarized light. None of these crystals showed hemihedrism. In this way the idea of a relation between hemihedrism and the molecular rotation of organic products won new support. Soon I was able through an unexpected discovery to make this clear. IT is necessary that I make you acquainted with an important communication of Mitscherlich’s which was laid before the French Academy of Science by Biot. I quote his words: “The racemic acid and the tartaric acid sodium-ammonium-double salts have the same chemical composition, the same crystal form with equal angles, the same specific gravity, the same double refraction and in consequence of this their optical axes form the same angle. Their water solutions have the same refraction. But the dissolved tartaric acid salt rotates the plane of polarization, and the racemic acid salt is indifferent, as has been found by Biot for the whole series of salts.” “But,” continues Mitscherlich, “the nature and the number of atoms, their arrangement, and their distance from one another are the same in both bodies.” This conclusion at the time of its publication especially concerned me. I was at that time a scholar at the Ecole Normale, and was studying during my spare time the interesting investigations upon the molecular constitution of bodies; and was, as I at least believed, beginning to understand the generally accepted principles of physicists and chemists. The above mentioned communication upset all of my ideas. What similarity in all respects! Are there two bodies the properties of which have been more thor- oughly and carefully compared ? Can there be in the present state of the science two bodies so entirely similar without being identical ? Mitscherlich himself tells us what must follow from this similarity: ” The nature, the number, the arrangement, and the distance of the atoms from one another are the same.” In this case what becomes of the clear definition of chemical species, so important for the time, which was given us by Chevreul in the year 1823? ” The species of compound bodies are identical when the nature, the proportion, and the arrangement of the atoms are the same,” In short, this communication of Mitscherlich’s remained in my mind as the chief difficulty in the way of this conception of bodies. It will now be understood by all that I thought of this communication of Mitscherlich’s in the year 1844 when, for the reasons given above, I was considering a possible connection between the hemihedrism of the tartrates and their optical activity. At once I thought that Mitscherlich had erred in one point. Apparently he had not observed that his double salt of tartaric acid is hemihedral, while the racemic acid salt is not. la case this were the fact his results would have no more importance; moreover, it would furnish the best kind of support for my hypothesis concerning the relation between hemihedrism and optical activity. I undertook, therefore, to study again the crystalline form of both of Mitscherlich’s salts. I found that the tartaric acid salt, as in the case of all other tartrates which I had examined, was hemihedral; but unexpectedly the raeemic acid salt was also hemihedral. Only, the hemihedral faces in the tartrates all lay in the same direction, in the racemates some lay toward the right and some toward the left. In spite of the completely unexpected character of these results I, none the less, followed my idea. I separated carefully the right hemihedral crystals from the left, and observed the solution of both, each by itself, in the polariscope. There I saw, with as much surprise as joy, that the right hemihednil crystals turned the plane of polarization toward the right, and the left hemihedral crystals turned it toward the left; and that when I took an equal mass of both crystals their mixed .solutions remained inactive toward light through the mutual compensation of the two equal but opposite rotations. I proceed thus with the racemic acid: I obtain the sodium-ammonium double salt in the ordinary way, and from this solution crystals separate after some days, which possess so exactly the s-arne angle and the same appearance that the celebrated crystallographer Mitscherlich, in spite of his exact and carefully carried out measurements, did not discover the slightest difference between them. Nevertheless, the arrangement of the molecule in the two salts is entirely different. This is shown both by the optical activity and the asymmetry of the crystals. Both kinds of crystals are isomorphous, and isomorphous with the corresponding tartrates. Yet the isomorphism shows a characteristic never before observed. It is the isomorphism of two asymmetric crystals, of an object to its reflected image. This comparison expresses the phenomena in a very satisfactory way. In fact, if I think of the hemihedral faces of each of the kinds of crystals as being extended until they meet, I obtain two asymmetric tetrahedrons which cannot be brought into corresponding positions in spite of the identity of their corresponding parts. Thereupon I concluded that by the crystallization of the sodium-ammonium double salt of racemic acid I had separated the racemic acid into two asymmetric, isomorphous groups, which were united with one another in the racemic acid. Nothing is simpler than to prove that the two kinds of crystals represent two different salts, from which the different acids can be prepared. One proceeds as in all such cases. Convert each salt into the lead or barium salt and from this isolate the free acid by means of sulphuric acid. The study of these acids possesses an extraordinary interest; I know of none greater. Yet before I describe it allow me to interpolate some reminiscences in regard to their discovery. that the crystals which I placed at his right hand would rotate the plane of polarization to the right and the others would rotate it to the left. After this had been done, he declared that he himself would complete the experiments. He prepared the carefully weighed solutions and, when he was ready to make the observations in the polarizing apparatus, he called me again into his laboratory. He first put into the apparatus the most interesting solution, the one which should rotate toward the left. 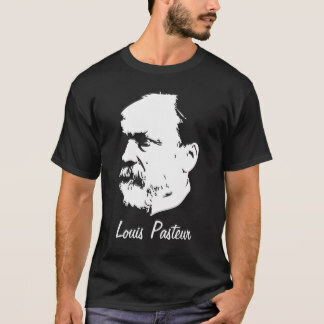 Without making a reading, but upon the instant, he noted a change of color in the two halves of the field of vision, he recognized an important laevorotation. Gentlemen, you will pardon these personal reminiscences, which will never fade from my memory. Following the custom of our times one would avoid such things in a scientific discussion; but it appears to me that perhaps such reminiscences are of sufficient biographical interest, that information of this nature may be brought before the chemical society in an oral communication. However, there is here more than personal reminiscences. Much to the satisfaction of scientists there came to M. Biot the great satisfaction of seeing his assumptions verified. For more than twenty years M. Biot had endeavored in vain to bring chemists to his views that the study of the rotation phenomena was one of the surest means of advancing in the investigations of the molecular constitution of bodies. LET us return to the two acids which are formed from the two kins of crystals produced when the sodium-ammonium double salt is allowed to evaporate. I have already said that nothing is more interesting than the study of these acids. In fact, the acid, which is obtained from the right hemihedral double salt, rotates the plane of polarization to the right and is identical with ordinary tartaric acid. The other rotates toward the left as does the salt from which it is obtained. The amount of the rotation of the plane of polarization is exactly the” same with both acids. The dextro acid follows certain laws in its rotation which are not found with any other active substance. The laevo acid shows the same laws in an opposite sense, not the slightest difference has been observed. Here is the proof that racemic acid is a compound of both acids, equivalent with equivalent. If one mixes concentrated solutions of the two containing equal masses, as I do now before you, a compound is formed with the development of heat. The solution partly solidifies with abundant crystallization of racemic acid, which is identical with the natural racemic acid. All of the chemical and crystallographic properties of one acid are, under the same conditions, shown in the other; and in all cases identical products are obtained, except that they cannot be brought into corresponding positions ; they are products which are to one another as the right hand is to the left hand. They have the same forms, the same faces, the same angles, and in both cases are hemihedral. The only difference between them is the direction of the hemihedral faces toward the right in one case; and toward the left in the other, and in the direction of their optical rotation. IT is clear from all of these facts that we have to do with two isomeric bodies whose general character of molecular similarity and dissimilarity we know. Do you remember the definition of chemical species which I have given above ? A species is composed of all of the individuals which contain the same elements, in the same proportions, and with the same arrangement. All the properties of bodies are functions of these factors and the object of all our investigations is, through a study of these properties, to gain a knowledge of these factors. In the case of isomeric bodies the elements and their proportion are the same, the arrangement of the atoms alone is differ- ent. The greatest interest in isomerism comes from its introduction of the idea that bodies may be entirely changed in character by a rearrangement of the atoms in the chemical molecule, this is actually the case. Still there are no isomeric bodies in which we know the actual relation of the molecular arrangements to one another. This deficiency will be made good for the first time by the discovery of the constitution of racemic acid and the mutual relation between the dextro- and Isevotartaric acids. We know, in fact, on the one hand, that the molecular arrangement of both tartaric acids is asymmetric; on the other, that they are entirely the same, with the ex- ception that the asymmetry is shown in opposite senses. Are the atoms of the dextro acid arranged in the form of a right- handed spiral, or are they situated at the corners of an irregular tetrahedron, or do they have some other asymmetric grouping? This we do not know. But without doubt the atoms possess an asymmetric arrangement like that of an object and its reflected image. Quite as certain is it that the atoms of the laevo acid possess exactly the opposite grouping. Finally we know that racemic acid arises from the union of two asymmetric groups whose atoms are arranged in inverse order. From now on, the knowledge of the chemical and physical similarities and differences corresponding to this kind of grouping, the- relationships between which we know, offers especial interest and gives a firm foundation to molecular mechanics. It permits us to determine the relation between the physical and chemical properties and the molecular arrangement which is the cause of these properties ; or conversely, it enables us from the properties to infer their first cause. If the elementary atoms of an organic substance are asymmetrically grouped, the crystal form shows molecular asymmetry by nonsuperposable hemihedrism.Thus is the cause of hemihedrism recognized. (3) When two forms with nonsuperposable asymmetric molcules arise, as in the case of dextro- and laevotartaric acid and all of their derivatives, the chemical properties of these identcal but optically opposite bodies are the same; whence it followsthat this kind of oppbsiteness of position and similarity doesnot affect the ordinary action of chemical affinity. I am mitaken in regard to this latter point. I must make a limitation, an important and very instructive limitation.But the time is lacking to-day to develop it with the fullness it deserves. It will therefore be treated in the next lecture. GENTLEMEN”: When one investigates bodies with regard to their form and to the recurrence of their identical parts he soon recognizes that they may be divided into two great classes with the following characteristics: One class is mad” up of forms the reflected image of which can be superpose 1 upon the original; with the forms of the other class this cannot be done, although the forms are the same in all their parts. A straight stairway, a twig with oppositely set leaves, a cube, the human body are examples of the first class of bodies, A winding stairway, a twig with leaves set in the form of a spiral, a screw, a hand, an irregular tetrahedron are forms of the second class. The forms of the second class have no plane of symmetry. On the other hand, we know that compound bodies are aggregates of identical molecules, and that the latter themselves consist of a collection of elementary atoms, adjusted according to laws which are determined by their nature, their proportion, and their arrangement. The characteristics of every compound body are inherent in its chemical molecule, and this is a group of atoms which do not move about freely among themselves, but which stand in a definite relation to one another. This is the belief of all physicists in regard to the constitution of matter. This once recognized, it certainly would be very remarkable, if nature, which in its results shows such manifold variety and whose laws permit the existence of so many kinds of bodies, did not, in complex molecules, give us atom groups belonging to the two categories into which material things may be divided. It would, in other words, be astonishing if among all chemical substances, natural and artificial, there were not individuals which were superposable with their reflected image, ‘and others which were not superposable with their reflected image. It appears to be a fact, as was foreseen, that all chemical compounds without exception fall into two classes, one in which the reflected image is superposable with the original and the other in which it is not superposable. IT is very easy to prove that this is a logical consequence which must follow from statements in my first lecture. In order to make it entirely clear I shall briefly repeat the main features of the conclusive reasons with which I closed the previous chapter. 1 prepare, with the help of the natural racemic acid, he sodium-ammonium double salt. It separates in beautiful crystals. If one observes the solution of a mass of this double salt in a polarizing apparatus, no sign of optical activity is detected; if the acid is set free from the salt, racemic acid is again obtained, identical with that from which the salt is first prepared. Thus far everything is perfectly simple and natural, and one might believe that he was dealing with the crystallization of an ordinary salt. But this is not the case. If you will take another portion of the same crystals and examine the individual crystals, you will find that half of them have the form of the model which I now show you and which is characterized by nonsuperposable hemihedrism. The other half possess the opposite form identical with the first in all their respective parts, but, in spite of this, nonsuperposable with it. If the two kinds of crystals are separated, and each kind dissolved by itself, it is found that one of the solutions turns the plane of polarization toward the right, and the other turns it toward the left, and both through equal angles. Finally if the acids are prepared from these two kinds of crystals by the ordinary chemical means, it is seen that one is identical with ordinary tartaric acid, and that the other is in most respects the same without being identical with it. They stand to one another in the same relations as the salts from which they are prepared. They resemble one another as the right hand resembles the left; or better still as two irregular asymmetric tetrahedrons; and the same analogies and the same differences recur in all of their derivatives. Whatever can be done with one can also, under the same conditions, be done with the other, arid the products thus formed have always the same properties with the single difference that one rotates the plane of polarization toward the right, while the other rotates it toward the left ; and that the forms of the corresponding substances, although in all particulars identical, are not superposable. All of these clearly demonstrated facts lead us to ascribe the general outer characteristics of these acids and their compounds to their individual chemical molecules. To conclude otherwise would be to bid defiance to the clearest rules of logic. The molecule of tartaric acid, however else it may be constituted, is asymmetric, and has that kind of asymmetry which is not superposable with its mirrored image. The molecule of the lasvotartaric acid is formed by exactly the opposite grouping of the atoms. By what properties do we recognize molecular asymmetry ? On the one hand by the occurrence of nonsuperposable hemihedral forms, and on the other, chiefly, by optical activity as soon as the body is brought into solution. Let us now, this principle being assumed, examine all natural and artificial bodies, we shall easily find that a number of them possess both hemihedral forms and molecular rotatory power, and that all others show neither the one nor the other of these properties. I am therefore justified in saying that the sufficient and necessary consequence of the facts given in my first lecture can be stated as follows : All bodies (I use the term here in its chemical sense) are divided into two great classes, into bodies which are superposable with their reflected image, and into those in which the reflected image is not superposable with the original: into bodies with symmetrical atom grouping, and into those with asymmetrical atom grouping. HERE we meet with a phenomenon that is well calculated to excite our attention, even when it is considered by itself independently of the whole of the conclusions which come later: All artificial bodies and all minerals have superposable images. Opposed to these are many organic substances (I might say nearly all, if I were to specify only those which play an important role in plant and animal life) all of which are important substances to life, are asymmetric, and indeed have the kind of asymmetry in which the image is not superposable with the object. Before going farther I shall answer some objections which must have presented themselves to you. THERE is, for example, quartz you will say. We have heard in the first lecture that quartz shows both kinds of asymmetry. Its hemihedral crystal form was observed by Hauy, and its optical activity was discovered by Arago. In spite of this, however, it lacks molecular asymmetry. In order to understand this we must proceed a little farther in the knowledge of the phenomena which we are considering. “We shall find thereby an explanation of the similarities and the differences, which we have already noted, between quartz and the natural organic products. the same spiral staircase, the steps of which are formed by irregular tetrahedrons. You may destroy the staircase, but the asymmetry remains, because you have to deal with a collection of irregular tetrahedrons. They may have any sort of arrangement, but each one of them has its own asymmetry. Thus it is with organic bodies where every molecule has its own asymmetry which finds expression in the crystal form. When the crystals are destroyed by solution there results a fluid which is active toward polarized light, because it consists of molecules, which have, indeed, no fixed position with regard to one another, but every one of which has the same asymmetry. QUARTZ is thus not molecularly asymmetric, and up to the present we do not have any mineral which possesses molecular asymmetry. I have said that this statement must extend to artificial bodies which are prepared in the laboratory. In regard to this point some farther consideration is necessary. One can, it may be objected, artificially convert the natural camphor which is asymmetric, into camphoric acid which is also asymmetric ; aspartic acid is produced by chemical processes from asparagine and is asymmetric, as is also the asparagine from which it is prepared, and I could mention many other similar cases. Yet no one doubts that camphoric acid and aspartic acid owe their asymmetry to camphor and asparagine. It was present in the mother substances and is from these passed over to their derivatives, more or less changed by substitution. There is no better proof of the stability of a primary type, than the continuation of the optical properties, in a group of derivatives which are related to one another by having a common origin. When I assert that no artificial substances with molecular asymmetry are known, I speak of artificial substances in the proper sense of the word, which are formed in all their parts from the elements, or are produced from bodies which are not asymmetric. 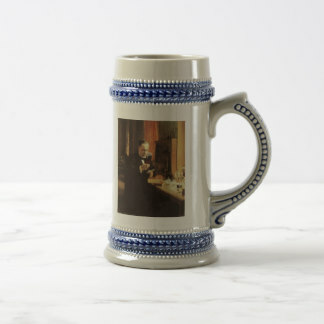 Alcohol, for example, is not asymmetric, its molecule would, could we isolate it and look at it in a mir- ror, give an image which could be superposed upon it. Not a derivative of alcohol is asymmetric. I could vastly increase the number of examples of this kind. It goes even farther; if you take a body which is asymmetric, you may be sure that the asymmetry will disappear as soon as it is subjected to an energetic chemical reaction. Thus tartaric acid is asymmetric; pyrotartaric acid is no longer asymmetric. Malic acid is asymmetric; but the maleic and fumaric acids discovered by Pelouze are not asymmetric. Gum is asymmetric; but mucic acid is not asymmetric. Artificial substances have thus no molecular asymmetry, and I know of no more thorough going difference than just this between the substances which are formed under the influence of life and other substances. Let us tarry here a little, you will see that in the course of these lectures, the physiological side of these studies comes more and more into prominence. Cellulose, starch, gums, sugar, . . . tartaric acid, malic acid, quinic acid, tannic acid, . . .’ morphine, codeine, quinine, strychnine, brucine, . . . turpentine oil, citron oil, . . . albumen, fibrine, gelatine. All of these naturally occurring bodies have molecular asymmetry. All solutions of these bodies possess the power of rotating the plane of polarization, a necessary and all sufficient characteristic for determining their asymmetry, even when, owing to their noncrystalline character, their hemihedral characteristics are lacking. There are many natural substances which are not asymmetric. But can we call them natural with the same right as the others ? Must we not, in such substances as oxalic acid, salicylic aldehyde, fumaric acid, etc., which arise from such reactions as can be carried out in the laboratory, see derivatives of the real natural substances? These products appear to me to be the same for the plant organisms as urea, uric acid, creatine, glycine, are for the animal organism; much more decomposition products, than transition products, if I may so express it. It is very interesting to follow this point of view experimentally. We must still mention that a number of apparently symmetrical bodies have properties like that of racemic acid. There is yet lacking in the chemical nomenclature a word to express the fact that through the compensation of two opposite asymmetries a double asymmetry may result which is itself symmetrical. The knowledge that ordinary asymmetry is a direct organic principle, and the knowledge of the lack of this property in all bodies of dead nature, permits us to extend and render more exact our assumptions in regard to this noteworthy molecular property. IN the year 1850 M. Dessaignes, whose inventive skill is known to all chemists, informed the Academy that he had succeeded in converting the acid ammonium salt of malic acid into aspartic acid. This step confirmed the important results which had been obtained by Piria some years earlier. M. Piria had succeeded in converting asparagine and aspartic acid into malic acid. Dessaignes now showed that the aspartic acid could be regenerated from the malic acid. Thus far all of Dessaignes’ observations were entirely in accordance with our experience even from an optical standpoint. For I had observed that asparagine, aspartic acid, and malic acid were all active toward polarized light. The chemical transformation of the one body into the other was not surprising. Some months later Dessaignes went a step farther. He announced that, not only the acid ammonium malate, but also the ammonium salt of furnaric acid and maleic acid have the property of changing to aspartic acid when warmed. In this I saw an improbability. For, if it were as Dessaignes had stated, he had made a discovery the importance of which he had never dreamed. I had, in fact, observed that fumaric acid, maleic acid, and all of their salts were inactive toward polarized light. 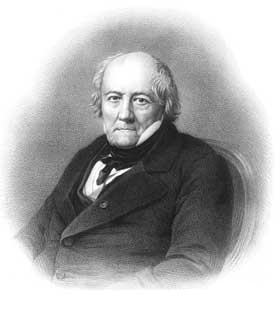 Had M. Dessaignes actually converted their ammonium salts into aspartic acid, he had, for the first time, prepared an asymmetric compound from a nonasymmetric body. To me it appeared more probable that the aspartic acid of Dessaignes differed from the natural aspartic acid by its lack of molecular rotatory power. Dessaignes had, indeed, carefully compared the properties of the artificial acid with the natural acid and had, as he said, found them identical. But I knew better than any one else, through my experience with Mitscherlich’s statement, which I have spoken of in the first lecture, the delicate character of the proof of the identity of chemical bodies in which the greatest similarity of properties may conceal a fundamental difference. I did not hesitate, therefore, to believe that the new facts announced by Dessaignes needed confirmation. The clearing up of this point meant so much for the results which I have had the honor to bring before you that I went at once to Vendome and laid my views before M. Dessaignes. He handed me at once a sample of his acid. Upon my return to Paris I actually recognized that the acid of M. Dessaignes’ was only an isomer of the natural aspartic acid, that is to say, the acid which is obtained from asparagine, and it differed from this, as I had foreseen, in optical rotatory power, which was entirely absent in the artificial acid, but present in the natural acid. But in all other physical and chemical properties they showed the greatest analogy, so great that Dessaignes, not being placed upon his guard by preconceived ideas, concluded that the two substances were actually identical. That which interested me the most in the study of this new compound (which did not furnish any conspicuous crystalline derivatives) was its transformation into malic acid. It was known that Piria, as I have just mentioned, had some time before given the means of transforming asparagine and aspartic acid into malic acid, and I had convinced myself by the most careful investigations that this malic acid was identical with that obtained from the berries of the mountain ash, apples, grapes, and tobacco. I used, therefore, this process of Piria/s and thereby converted this new acid into a new malic acid so similar to the natural malic acid that a chemist would have found the greatest difficulty in distinguishing between them, had he not known beforehand what the real difference was, this malic acid had no action whatever upon polarized light and all of its salts were the same in this respect. By the comparison of certain derivatives of these two malic acids the relative molecular arrangement in these curious isomers is not apparent, but with other derivatives it is entirely evident. If we consider, for example, the ordinary acid calcium salt of malic acid, and the corresponding inactive compounds, we find their composition just the same, and their crystal form is almost the same, with the difference that the active form shows four small hemihedral faces which are lacking in the inactive form. Whence it follows that the active crystal and its reflected image are enantimorphous, while the image of the inactive crystal is identical with the original. In regard to all points which do not have to do with hemihedrism the two forms are completely alike. Who can have any doubt concerning the relative molecular arrangement of these two salts ? Is it not clear that we here have to deal with a malic acid identical with the natural acid, except that it has had its asymmetry suppressed ? It is untwisted natural malic acid if I may so express it. If the natural acid as regards its molecular arrangement be compared to a spiral staircase, then the artificial acid is the same staircase made np of identical steps but straight, instead of spiral. It might be asked whether the new malic acid was not the racemic form of this group, that is, the compound of the right and left malic acids. This has very slight probability, for in this case not only would one active body be made from an inactive substance, but two active bodies would be produced, a dextro- and laevorotatory substance. However, I have recognized that just as there is an inactive nonasym metric malic acid, there exists a nonasym metric inactive tartaric acid which is very different fromracemio acid as it cannot be split up into a dextro- and laevo-tartaric acid. It can no longer be doubted, therefore, that here we have to deal with either dextro- or laevo-tartaric acid which has become nonasymmetric. I have also discovered inactive amyl alcohol from which a whole series of inactive products, corresponding to the group of active amyl alcohols, can be derived. We find ourselves then, thanks to the discovery of these inactive bodies in possession of a fruitful idea. A substance is asymmetric dextro- or laevorotatory but by certain processes, which must be sought for and discovered for each case, isomeric changes may cause it to lose its molecular asymmetry, may cause it to be untwisted, to make use of a rough simile, and cause its atoms to become so arranged that they are superposable with their reflected image. In this way every asymmetric substance gives four variations or better four important subdivisions ; the dextro body, the laevo body, the combination of dextro and laevo bodies, and the body which is neither dextro nor laevo nor yet a combination of the two. THE general conclusions drawn from the foregoing studies throw a new light upon our idea of molecular mechanics. We recognize from these that when natural organic bodies arise under the influence of vegetable life they are usually asymmetric in opposition to minerals and synthetical bodies, this arrangement of the elementary atoms is not essential to the existence of the molecule since the spiral organic group can, so to speak, be untwisted and it then assumes the general character of the artificial or mineral bodies. It appears only logical to assume that the artificial bodies have the power to take on the asymmetric arrangement of their atoms and thus become like the natural bodies. The conditions under which such a change can be brought about are yet to be investigated. aim to prepare each substance in its several varieties. All of these deductions are so logically necessary that it appears well-nigh impossible to doubt them. How can one avoid, for example, the assumption that corresponding to a dextrorotatory body there must be a laevorotatory body, now that we know the cause of the dextro- and laevorotatory character ? That would be to doubt that an irregular tetrahedron had an enantimorphous image, or that for a right-handed screw there could be a corresponding left-handed screw, or that a right hand was matched by a left hand. Therefore the elementary constituents of all living matter will assume one or the other of the opposite asymmetries according as the mysterious life force, which causes asymmetry in natural bodies, acts in one direction or another. Perhaps this will disclose a new world to us. Who can foresee the organization that living matter would assume if cellulose were laevorotatory instead of being dextrorotatory, or if the Isevorotatory albumens of the blood were to be replaced by dextro-rotatory bodies ? These are mysteries which call for an immense amount of work in the future, and to-day bespeak consideration in the science. SINCE it has been impossible for chemistry, up to the present time, to prepare an asymmetric body, one might be led to fear that the method of obtaining the antipodes of the natural organic bodies would always remain unknown. Fortunately, this fear is groundless. For I have, in fact, found that by ordinary chemical processes, as by the action of heat, a dextrorotatory body may be transformed into a laevorotatory body, and vice versa. Thus dextro-tartaric acid is converted into laevo-tartaric acid, or more properly into racemic acid, by the action of heat under certain conditions which it would lead us too far to elaborate here. Under exactly the same conditions the laevo-acid becomes dextrorotatory. Here are 10-12 grams of entirety pure laevo-tartaric acid which I have obtained in this way. Its preparation has cost me much trouble. As M. Biot wished to investigate the dispersion of the laevotartaric acid, he wished himself to bear the high cost of the operation, for this conversion necessitates the use of cinchonine tartrate and quinine tartrate and the base is all lost because the salt is heated so high that it is entirely destroyed. By this means I have obtained enough racemic acid to yield 12 grams of laevo-tartaric acid, which shows, in a reverse sense, exactly the same optical properties as the ordinary tartaric acid. We must always consider every analogous transformation of an asymmetric natural body into its opposite form (Antipode) as a step in advance for organic chemistry. AT the close of my first lecture I pointed out some observations to which we must now devote some farther attention. These observations relate to a comparison of the chemical and physical properties of optically isomeric bodies. I have already indicated the complete identity of these properties, with the exception of the turning around of the hemihedral crystal faces, and the direction of optical rotation. Physical condition, crystal lustre, solubility, specific gravity, single or double refraction, all of these are not only very simi- lar, but they are identical in the strictest sense of the word. This identity of behavior is all the more remarkable, since under conditions to be mentioned farther on, each variety may be converted into its exact opposite. We have seen that all artificial or natural chemical compounds, mineral or organic, must be divided into two great classes; symmetrical compounds with identical reflected images, and asymmetrical compounds with enantimorphous reflected images. It has been determined that the identity of properties in the case of the two tartaric acids and their derivatives persists so long as they are brought together with bodies of the first category, as, for example, potash, soda, ammonia, Jime, baryta, aniline, alcohol, the ethers, in short with all bodies without asymmetry, without hemihedrism, without action upon polarized light. On the contrary, if they are subjected to the action of bodies of the second class; as, for example, asparagine, quinine, strychnine, brucine, albumens, sugars, etc., or other asymmetric bodies like itself, then entirely different properties appear. The solubility is different. When compounds are formed the products differ in crystal form, in specific gravity, in their amount of water of crystallization, in their action toward heat, and indeed may differ from one another quite as much as the more distant isomers. Thus it appears that the molecular asymmetry of a body is an important agent for changing the affinity. The two tartaric acids do not behave toward quinine as they do toward potash, because quinine is asymmetric and potash is not. Asymmetry shows itself here, as before said, as a property which has the power of altering the chemical affinity. I do not believe that any previous discovery has gone so deep into the mechanics of the problem of the origin of chemical compounds. Let us attempt to make this similarity and dissimilarity clear by means of an illustration. We may think of a right-handed screw and a left-handed screw as being driven into exactly similar, straight grained blocks of wood. All of the mechanical conditions of the two systems are the same; this is instantly changed when the same two screws are driven into a block in which the fibres themselves have a right or left spiral arrangement. I SHALL interpolate here an extremely interesting application of these facts. The recognition that the salts of dextro- and laevo-tartaric acids assume very different properties through the rotatory power of the base, gives rise to the hope that since these differences are caused by chemical affinity, the unlike affinities of the two acids thus excited would give a means of splitting racemic acid into its constituents. 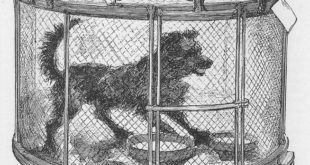 I have made many fruitless efforts in this direction, and I finally accomplished my object by the aid of two new isorneric bases, chini- cin and cinchonicin, which I easily prepared from quinine and cinchonin. I prepared the racemic acid salt of cinchonicin by first neutralizing the base and then adding as much more acid. The first crystals to separate were completely pure cinchonicin laevo-tartrate. The whole of the dextro-tartrate remained in the mother-liquor since it is the more soluble. Little by little this also was crystallized out but it had an entirely different form from the laevo-tartrate. One might easily be lead to believe that he had to deal with two entirely different salts of unequal solubility. I SHALL refer here again to the interest which attaches itself to the different optical isomers on account of this asymmetric force. It leads us to ideas concerning the secret cause which produces the asymmetric arrangement of the atoms in organic substances. Whence comes this asymmetry? Why is one asymmetry produced and not the other? Go back with me to the time at which I recognized the absolute identity of the physical and chemical properties of the corresponding right and left rotatory bodies, but still had no idea, not a suspicion, of the difference between these bodies. It was many years later that I first recognized this difference. At that time it was to me inconceivable that nature should produce a dextro-rotatory body without its corresponding laevo-rotatory body, for the same force, the activity of which formed the dextro-rotatory tartaric acid molecule, as it seemed to me, must also produce thelaevo-rnolecule, and thus racemic acid would result. But why right and left molecules, why not only symmetrical molecules like those of the inorganic substances ? There are certainly causes for this remarkable behavior of the molecular forces, even though it is difficult for us to get a clear conception of them. I believe that I am not deceived when I assert that we now know one of its most important characteristics. Is it not necessary and also sufficient to assume that the instant the plant organism arises an asymmetric force is active? For we have seen above that the dextro-molecule deviates from its laevo-antipode only in those cases in which it is subjected to some kind of an asymmetric action. Do such asymmetric agencies arise from the cosmic influences light, electricity, magnetism, heat? Do they perhaps stand in close relation with the earth movements, with the electric current by means of which physicists explain the earth’s magnetic pole? We are at present not in a position to offer the slightest suggestions in regard to these points. But I hold the existence of an asymmetric force acting at the origin of natural organic compounds, as proven, while this force is lacking or is without influence in our synthetical preparation of the same compounds, either on account of the more rapid course of the reaction or from some other unknown cause. WE now come to the last experiment, which does not fall behind any of the preceding ones in interest, it furnishes us evidence of the influence of asymmetry upon the life processes. We have just seen that asymmetry modifies chemical affinity ; however, these results were obtained in mineral and artificial reactions, and we know with what caution the results obtained in the laboratory can be assumed to hold true in the life processes. Therefor I have held back the general points of view which I wished to present to you until I had more certain evidence that molecular asymmetry had a modifying action upon chemical affinity, not only in the reactions of organic nature, but also in those of a physiological character, as in fermentation. 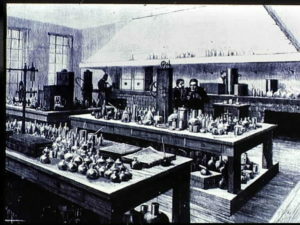 The remarkable phenomena to which I allude are as follows : It has been known for a long time through the observations of the German manufacturers of chemical products that the impure calcium tartrate, so long as it contained other organic substances, underwent fermentation upon standing during the summer under water, and thereby furnished different products. These facts I took as my starting point and set up fermentation in the ordinary dextro-ammonium tartrate in the following manner : I took the entirely pure crystallized salt and dissolved it and added to the solution a very clear solution of albumenates. One gram of the dry albumenates was sufficient for a hundred grams of the tartrate. Thereby it frequently happened that the fluid was at once set into fermentation. I said frequently spontaneous fermentation is obtained, but I may add that this is always the case if a small amount of the fluid, in which fermentation has taken place, be added. Thus far the phenomena are not unusual. It is a fermentable tartrate, a fact that is well known. But if we place ammonium racemate under the same conditions fermentation also sets in. The same yeast is used and everything appears as though the process were exactly similar to that with the dextro-tartaric acid. If, however, we follow the progress of the operation with the help of the polariscope, we recognize very soon a fundamental difference between the two experiments. The fluid, at first inactive, assumes marked Isevorotatory power which increases little by little until a maximum is reached. Then the fermentation is interrupted. There is found now not a trace of the dextro-tartaric acid in the fluid, which when evaporated and mixed with an equal volume of alcohol gives beautiful crystals of ammonium laevo-tartrate. Two different things are to be observed in these phenomena: In every case by fermentation a substance undergoes chemical change, and at the same time an organism is developed which belongs to the fungi. On the other hand it appears that the yeast which set the dextro-salt into fermentation is without action upon the laevo-salt, in spite of the absolute identity of the physical and chemical properties of both, so long as they are subjected to nonasymmetric influences. Here we have an organic material, possessing molecular asymmetry, acting upon a physiological process in such a way as to show that it has produced a change in the chemical affinity. There cannot be the slightest doubt that the only and exclusive cause of this difference in the fermentation of the two tartaric acids is caused by the opposite molecular arrangement of the laevo-tartaric acid. In this way the idea of the influence of the molecular asymmetry of natural organic products is introduced into physiological studies, this important characteristic is perhaps the only distinct line of demarkation which we can draw to-day between dead and living nature. THIS is, Gentlemen, a recapitulation of the work which I was commissioned to bring before you. You will in the course of these lectures understand why I have given them the title “Upon the Asymmetry of Naturally Occurring Organic Compounds.” I have in fact set up a theory of molecular asymmetry, one of the most important and wholly surprising chapters of the science, which opens up a new, distant, but definite horizon for physiology. I pronounce this judgment upon the results of my own investigations, without allowing the discoverer’s feeling of self satisfaction to influence this expression of my thoughts. Heaven forbid that this rostrum ever be made use of to advance personal ambitions. These lectures are intended to furnish glimpses at the history of chemistry, and we, the lecturers, must therefore be permeated with the spirit of their dignity and with impartiality, as only these can infuse true life into science.